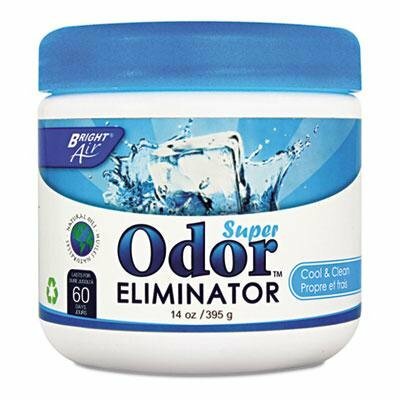 Super Odor Eliminator Cool & Clean 14oz 6/Carton - Transform your everyday odor problems into a pleasant fragrance experience. - Freshens any space with a natural clean scent while effectively eliminating unwelcome odors. - Safe to use around the office and any other areas you want to keep fresh. - Infused with natural oils. - Freshens for up to 60 days. - Scent: Cool & Clean Physical Form: Gel Application: Odor Control Capacity (Volume): 14 oz.